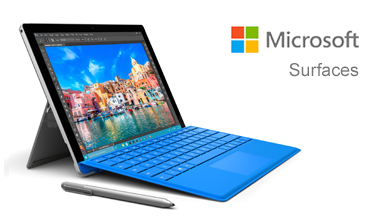 Better than ever, the Surface Pro gives you a best-in-class laptop, plus the versatility of a studio and tablet. The stunning PixelSense Display supports Surface Pen1 and touch, while up to 13.5 hours of battery life2 gives you plenty of juice to work all day and play all night. With up to 50% more battery life2 than Surface Pro 4, an ultra-light design and now with LTE Advanced6, this is the most versatile Surface yet. Surface Pro delivers even more speed and performance thanks to a powerful Intel Core processor that runs full desktop apps with ease—plus 50% more battery life and 50% more performance than Surface Pro 4. Bring your ideas to life in brilliant colour on the high-resolution PixelSense Display with a stunning screen that responds to your touch. LTE stands for Long Term Evolution and is a 4G wireless broadband standard. It's the fastest wireless network for smart devices available. Surface Pro with LTE Advanced can reach 4G speeds based on carrier and coverage areas. Do all Surface Pro devices support LTE? No, only the Surface Pro with LTE Advanced, Intel Core i5/256GB SSD/8GB RAM and Intel Core i5 / 128GB SSD / 4GB RAM model supports LTE connectivity. Most major carriers support LTE. Surface Pro with LTE Advanced also has an option to use an embedded SIM card (eSIM), which permits customers to subscribe to Transatel by going through the Microsoft Store. You can purchase a Nano SIM card through your mobile operator. Or, you can use the embedded SIM (eSIM) that comes built into Surface Pro with LTE Advanced. If you don't have a specific LTE carrier, or don't plan on using your existing Nano SIM, you can select the eSIM provided with your Surface Pro with LTE Advanced. LTE availability varies by market. 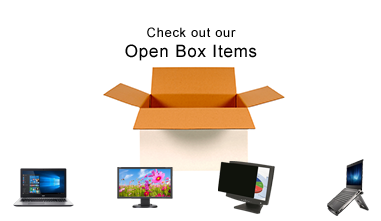 Check with service provider for details.